Why Is Donald Trump Praising Bible Literacy Classes? President Donald Trump has tweeted his support for efforts to introduce Bible literacy classes in public schools. The tweet came half an hour after a segment on Fox and Friends about a push to introduce Bible literacy classes in six U.S. states. North Dakota Representative Aaron McWilliams, in an appearance on the show, discussed a bill he is pursuing that would compel schools to offer the elective classes, which supporters say would allow pupils to study the Bible in its historical context. 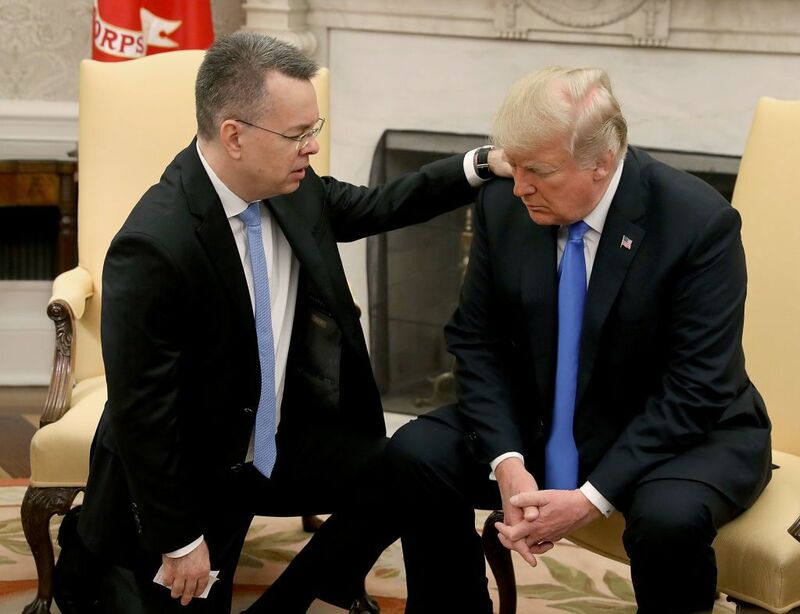 Critics of the measures told USA Today last week that the push violates the constitutional separation of church and state, and have been proposed following lobbying efforts from evangelical groups. “State legislators should not be fooled that these bills are anything more than part of a scheme to impose Christian beliefs on public schoolchildren,” Rachel Laser, president and CEO of Americans United for Separation of Church and State, told the publication last week. On Twitter, experts speculated on the timing of Trump’s message, with one correspondent pointing to the encounter between pupils from Kentucky's Covington Catholic High School and Native American protesters in Washington D.C. earlier in the month. “Trump is referring to parts of “Project Blitz” from Christian Right. Leaders behind it were influential rallying the white evangelical base for his campaign. Now after Covington, he’s stressing conservative Christian education/priorities could be at risk,” tweeted The New York Times correspondent Elizabeth Dias. One teacher of Bible literacy classes emphasized the need for public schools to teach the Bible critically. Evangelical support was key to propelling Trump to victory in the 2016 presidential election. His vice president, Mike Pence, is an evangelical Christian and longstanding champion of Christian right causes. Support for the president from evangelicals has remained consistent, despite reports the Trump had an affair with adult entertainer Stormy Daniels before his election as president. A November Public Religion Research Institute poll found that 71 percent of white evangelicals back the president. Trump has denied having an affair.